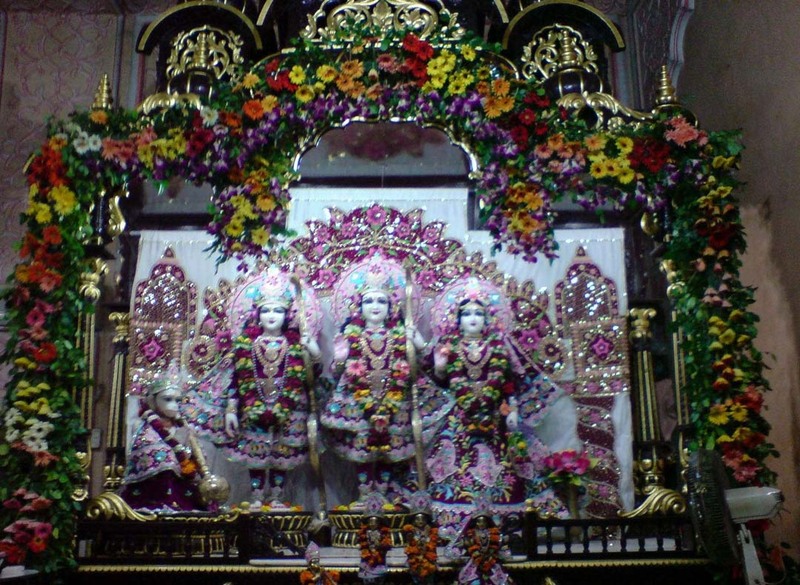 Three 50-ft diameter stone shikhars (domes) hand-carved with depictions of Krishna’s pastimes, rise more than 100 ft. above the 25,000-sq-ft temple. 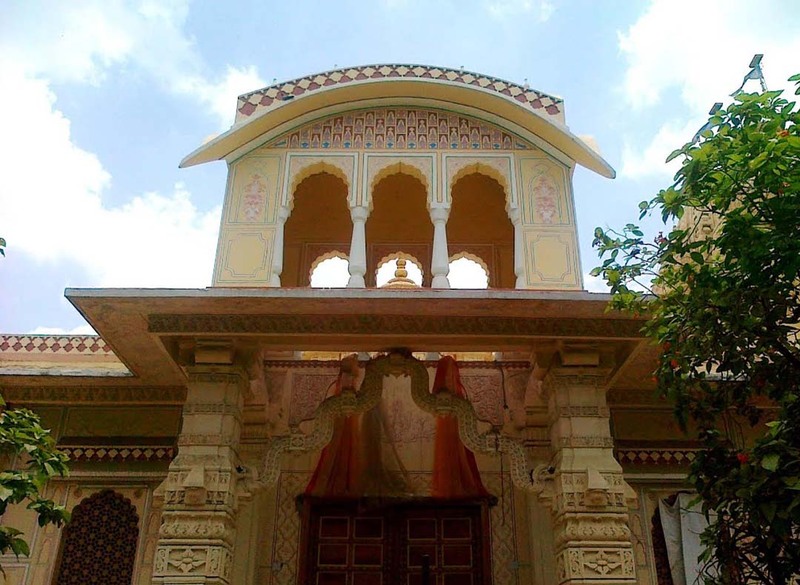 The building, blending Gujarat Sompura, and Rajasthani Khamira architectural styles, sits on four acres and features one of the largest temple rooms in India. 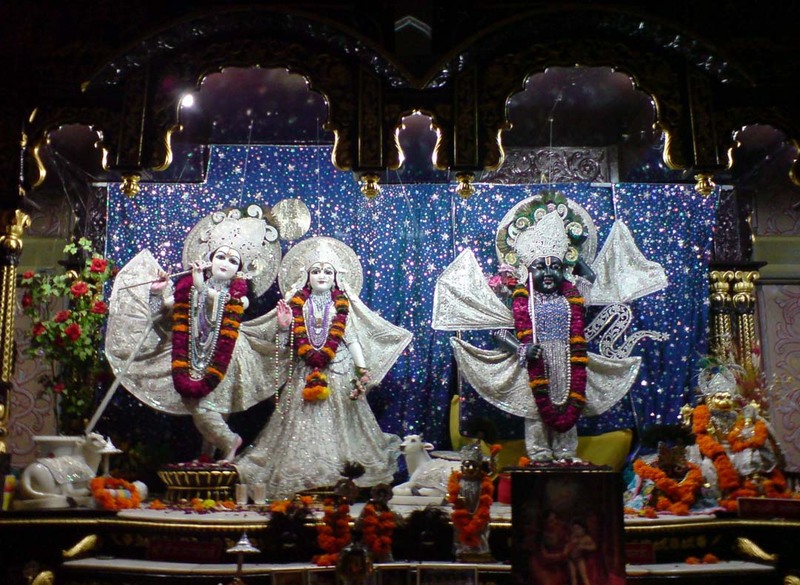 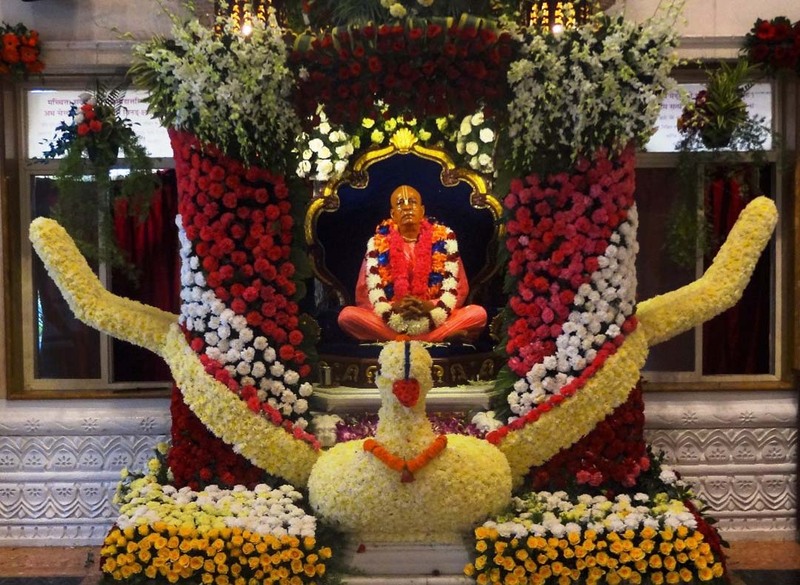 The 12,000-sq-ft hall can accommodate 4,000 people and is home to the Deities of Radha-Govinda, Gaura-Nitai, Sita-Rama-Laksman-Hamuman, Sri Nathji, Jagannath Baldev Subhadraji, as well as murti forms of Srila Prabhupada and Srila Bhaktisiddhanta Saraswati. 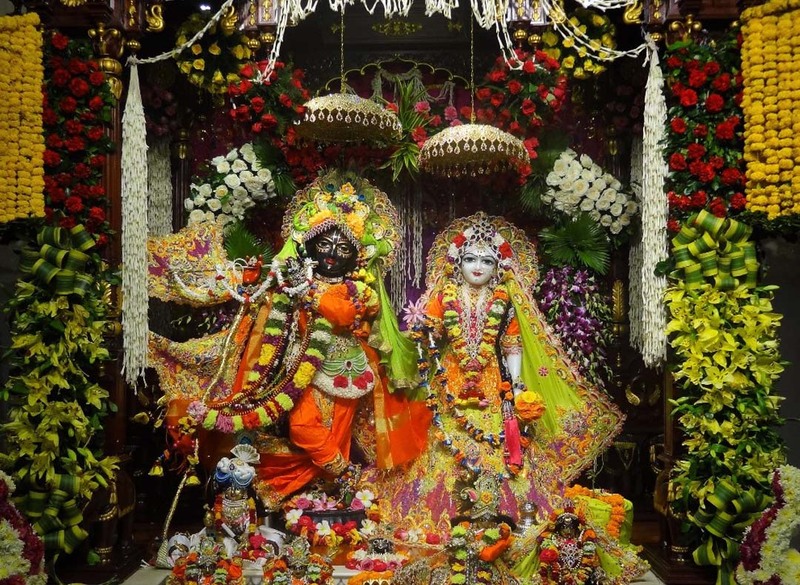 Decorations include ornate stone-clad pillars, marble flooring engraved with colored granite designs, windows intricately carved in Rajastani Mewas style, and Khemira and Araish decorated ceilings.